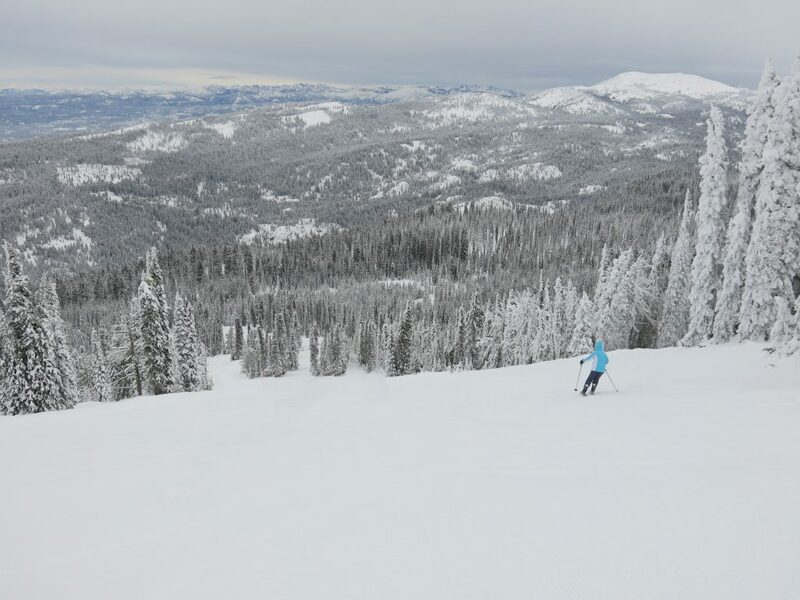 The brand slogan for Brundage is “Best snow in Idaho”, and we found that to be very true. In the 3 weeks before we arrived it snowed almost every day, giving us a deep base and soft snow to slide on. 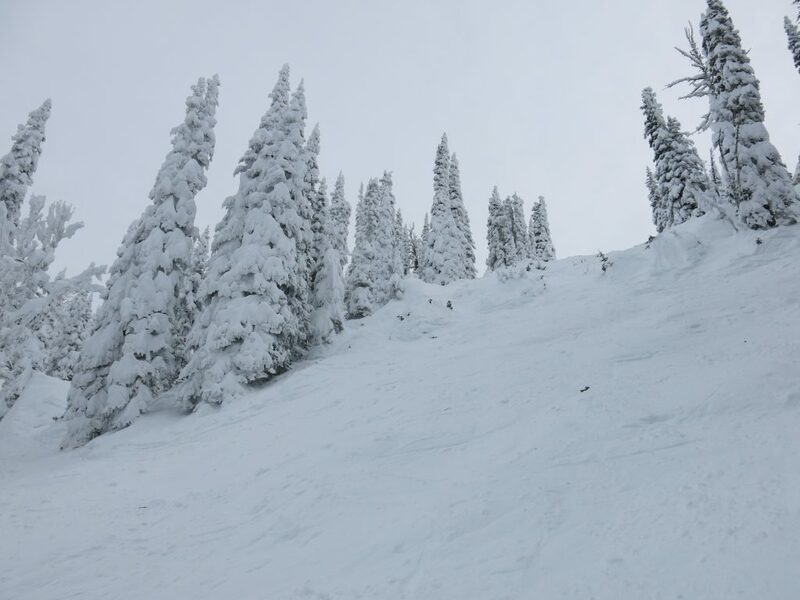 It’s always difficult finding good snow conditions over Christmas, but Brundage is one of those places you can plan well in advance and be virtually guaranteed of good snow. 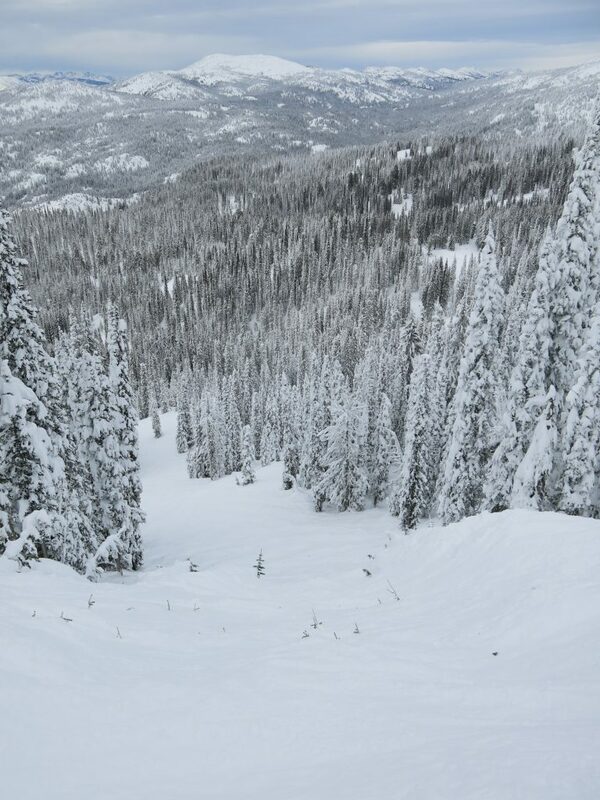 True to form, we had some of the best snow of the year when we skied there. 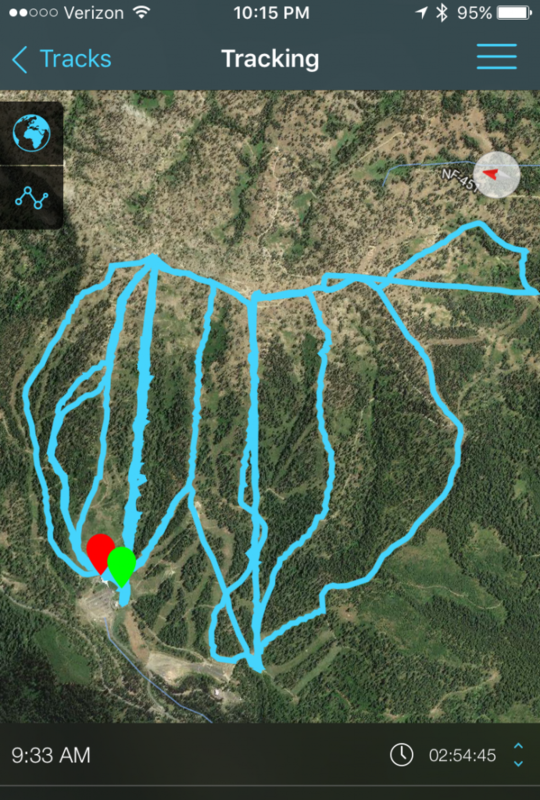 We skied some really steep terrain and didn’t hit any rocks all day. Big snow banks greeted us as we drove up from McCall, where it fell to well below zero the night before. 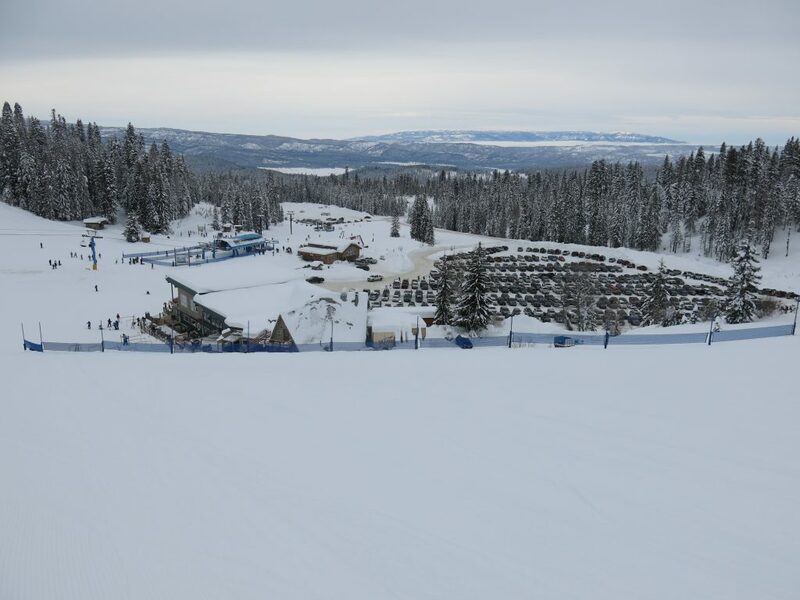 There is one base area and a large parking lot where parking is easy and close to the lifts. The main lift is the Big Blue Express, which serves a nice variety of blue and black runs. 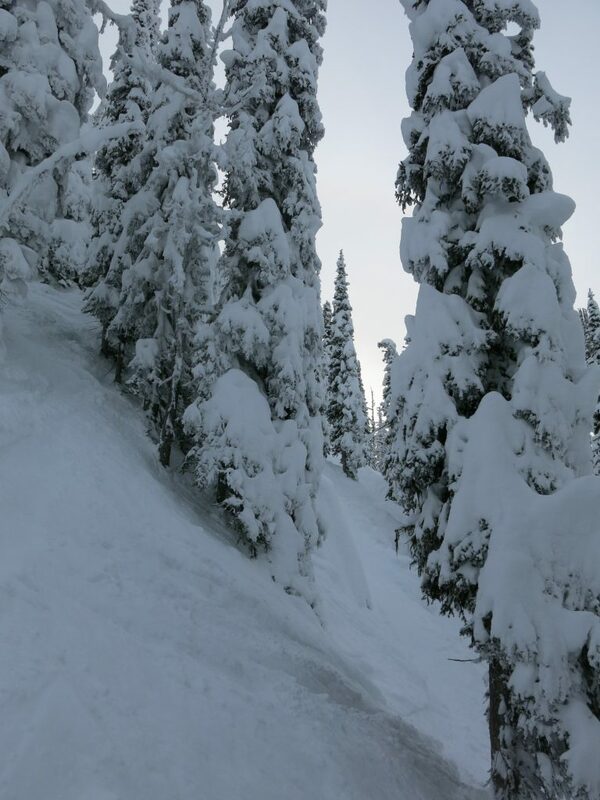 The steepest terrain is accessed from this lift on skier’s right. There are a couple of steep but short drops to play in. Traversing farther still is a diminishing returns situation, but if you access Hidden Valley from above by hiking you can get more out of it. Further to the north there is a planned expansion to the next peak which should be interesting when it happens. Most of the runs in this pod are some of the most consistent pitched blue runs you will find anywhere. With the great snow we had, it was a blast. The Centennial chair is a slow triple with more of the same sort of terrain as Big Blue, but with steeper groomers. Too bad the chair is so slow. I imagine this will be the next chair to be replaced with a high speed quad and that can’t come soon enough. The only other pod is Lakeview, which faces south. 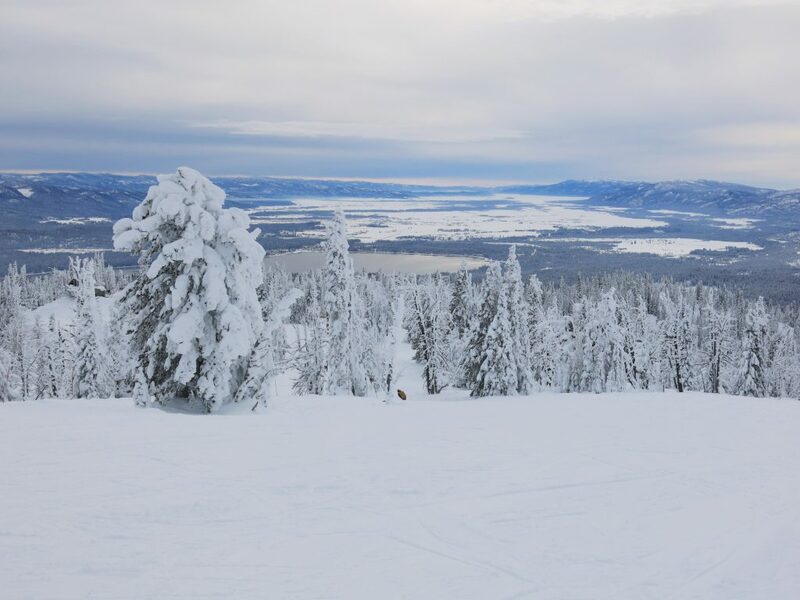 This pod has very little vertical but has a great view of the valley and town of McCall and Cascade and Payette Lakes. One unusual thing we did here was sign AiRung up for a lesson. 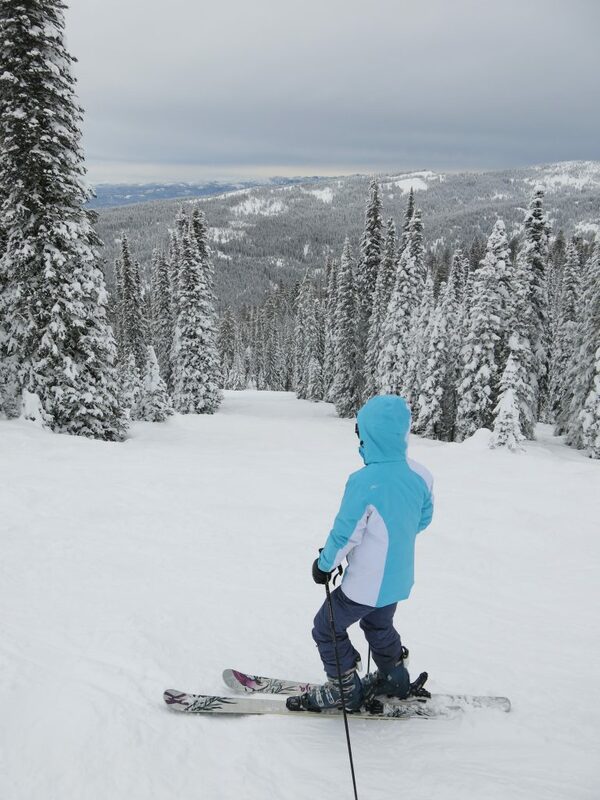 Not only are the lift tickets very cheap, the lessons are super cheap. She got a private afternoon lesson for $125. The same thing at Sun Valley would have cost about 3X as much. She got a good refresher with a talented and friendly instructor, and spent the rest of the season working on some of the things she learned there. The vibe here is mostly locals from Idaho, and it reminded me of growing up skiing in Western New York. Lots of families who just like getting out in the snow and are willing to make the long drive up from Boise. I usually comment on the food service but I can’t remember it at all. That’s not usually good but at least it wasn’t bad enough to be memorable! There are 2 restaurants in the main base area lodge, and another smaller one up on the mountain about 1/3 of the way up. 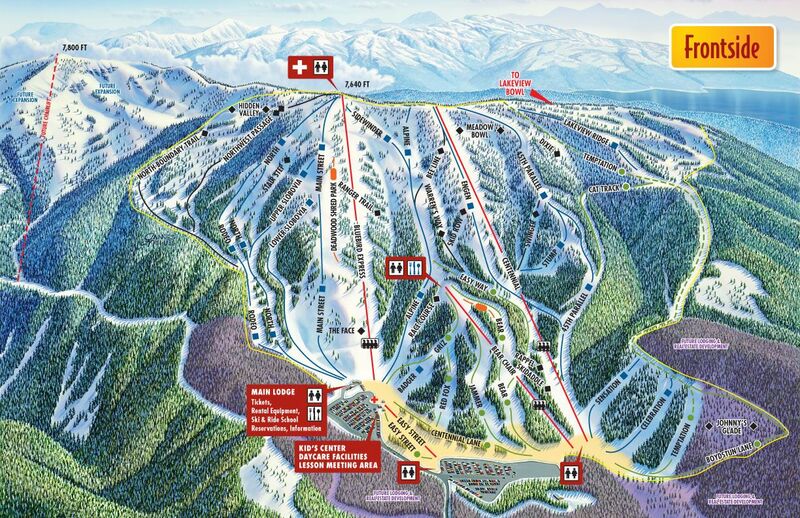 Chances are we will go back because Brundage runs a snowcat operation that looks very interesting, with 18,000 acres of terrain. I wanted to try it for a day, but we didn’t have time on this trip. At only $329, it has to be the cheapest all-day snowcat skiing in the world.